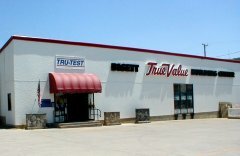 Receive personalized service at Bisett Building Center / True Value Hardware & Just Ask Rentals on 142 Davis Street in Bradford, Pennsylvania with folks that know the answers to your questions for repairs, building, plumbing, paint, equipment and just about anything related to building or fixing! Get sand, gravel, top soil, concrete, brick & stone for all your building and landscaping needs. They also offer a full line of new and replacement windows, kitchen & bathroom cabinets, counter tops, and trim work – they even have the kitchen sink! Just Ask Rentals – Planning a party, wedding, golf outing, backyard party, tailgating, camp or camping function that you want to add a little fun to? They offer RV supplies, tents, tables, chairs, chocolate fondue fountains, chill-n-fill tables to keep your food and drinks cold, candelabras, beverage fountains, chafing dishes, roasters and coffee pots.